Our daily universe is rough and infinitely diverse. The fractal approach clarifies and orders these disparities. It helps us to envisage new explanations of geographical phenomena, which are, however, considered as definitely understood. 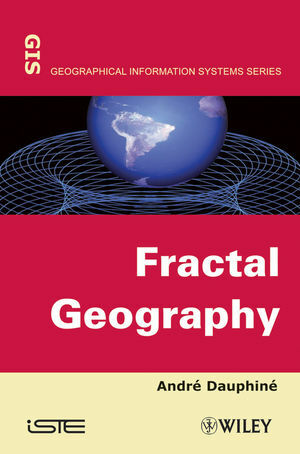 Written for use by geographers and researchers from similar disciplines, such as ecologists, economists, historians and sociologists, this book presents the algorithms best adapted to the phenomena encountered, and proposes case studies illustrating their applications in concrete situations. An appendix is also provided that develops programs written in Mathematica. 2. Auto-similar and Self-affine Fractals. 3. From the Fractal Dimension to Multifractal Spectrums. 4. Calculation and Interpretation of Fractal Dimensions. 5. The Fractal Dimensions of Rank-size Distributions. 6. Calculation and Interpretation of Multifractal Spectrums. 7. Geographical Explanation of Fractal Forms and Dynamics. 8. Using Complexity Theory to Explain a Fractal World. 9. Land-use Planning and Managing a Fractal Environment. André Dauphiné is Emeritus Professor at the?University of Nice Sophia-Antipolis, France.